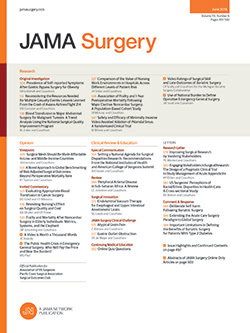 Fifty-one patients treated during the past 18 months, representing a total of 10.9% of the admissions to the burn unit, developed hypernatremia, with a serum sodium level above 145 mEq/liter; 60.8% of the patients had inadequate replacement of insensible fluid losses, and 31.3% of the cases developed hypernatremia during septic states. A small group of patients developed hypernatremia secondary to a solute diuresis with uncontrolled diabetes mellitus or supranormal caloric feedings. Two patients were identified with an apparent derangement in the antidiuretic hormone mechanism, and were treated by the administration of vasopressin injection (Pitressin). Clinical assessment, serial body weights, accurate fluid intake and output records, and laboratory monitoring are essential to the diagnosis and treatment of the hypernatremic state in hypermetabolic burn patients.